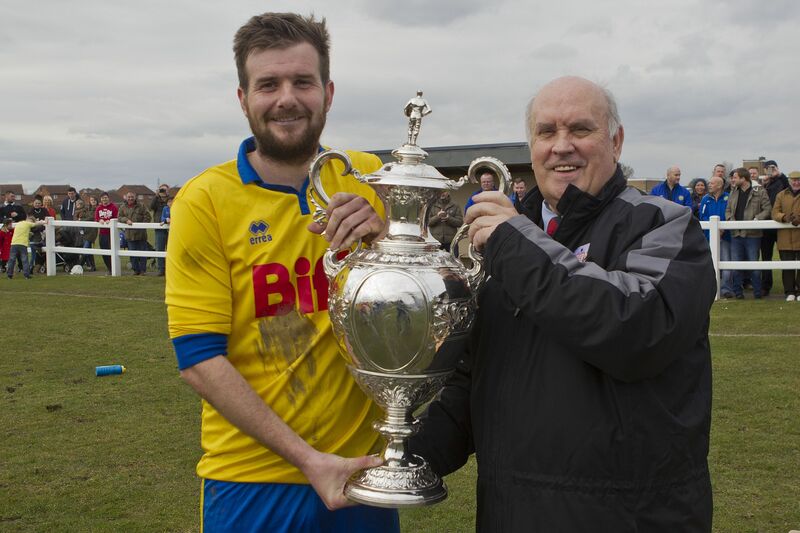 Tomorrow see’s us take on Jarrow FC in our first game of defending the Shipowners Cup that we won last season. Jarrow have had a good start to the season and are an improved team from last year and a tough game is anticipated. Kick off is 2 pm at Bishopton Road West, so with no Boro game and no Premiership football get along and support your local Club. 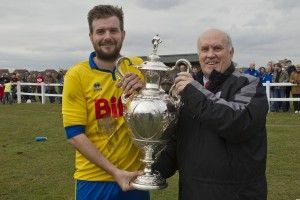 Club Captain Stav Roberts receiving the Shipowners Cup last season from League Chairman Mr Peter Maguire.